I’ve been using App Engine for many years to develop web apps at Google. Most of the open source projects I’ve worked on use it for its simplicity and scalability. A couple of examples are the Google I/O web app, the Chrome team’s Chromestatus.com, Polymer’s site, developers.chrome.com, and WebFundamentals, just to name a few. Heck, I’m even using it to build my wedding website! I could say a ton of nice things about App Engine, but one of its huge drawbacks is that the local development environment is far from Google’s production environment (where your app actually runs). One of the most important differences is that App Engine’s development server uses http/1.1 and Google’s infrastructure uses http/2 (h2). One of things I’m most excited about is that h2 makes development closer to production. By that I mean the shape of a web app doesn’t change when we hit the deploy button. If you’re like me, you probably develop source code in small, individual files. That’s good for organization, maintainability, and our general sanity :) But for production, we create an entirely different story. We roll sprite sheets, domain shard, concatenate CSS, and bundle massive amounts of JS together to squeeze out every last drop of performance. With h2, all of those techniques become a thing of the past; and in fact, anti-patterns. The h2 protocol makes it more efficient to serve many small files rather than a few large ones. 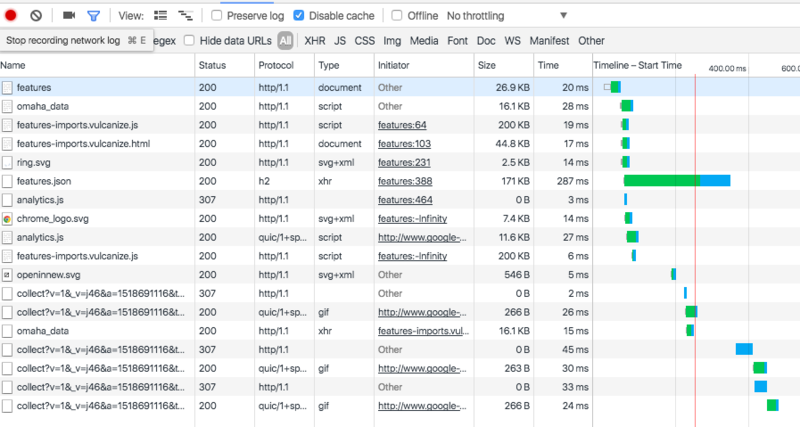 So…http/2 is pretty great. All major browsers support it and large cloud/CDN providers have finally started to bake it in. The place that’s still lacking is our development setups (remember my peeve about keeping dev ~= prod). Since I use App Engine all the time, I wanted a way to close the gap between its prod and dev environment and utilize http/2 on App Engine’s dev server. Turns out, that’s not too hard to do. It’s hard to performance tune an app when the HTTP protocol it uses locally is different than that of production. We want both environments to be as close as possible to each other. SSL is not a requirement of the h2 protocol but all browsers have mandated it for http/2 to work and many new (service worker) and old (getUserMedia, geo location) web platorm APIs are requiring it. Nginx is supposed to support h2 out of the box since v1.9.5, but I had to install it using --with-http2 to get the goodies. Homebrew installs nginx to ~/homebrew/etc/nginx and will server static assets from ~/homebrew/var/www/. The Nginx install also creates a ~/homebrew/etc/nginx/servers directory where you can stick custom server configurations. # If nginx cant find file, forward request to GAE dev server. What this does is forward any requests that nginx can’t find (right now that’s all of them) to your GAE app running on 8080. At this point, you should be able to open http://localhost:3000/ and see your GAE app! Requests are still over http/1.1 because we haven’t setup SSL yet. This will create a private key (cert.key) and a certificate (cert.pem) for the domain localhost. 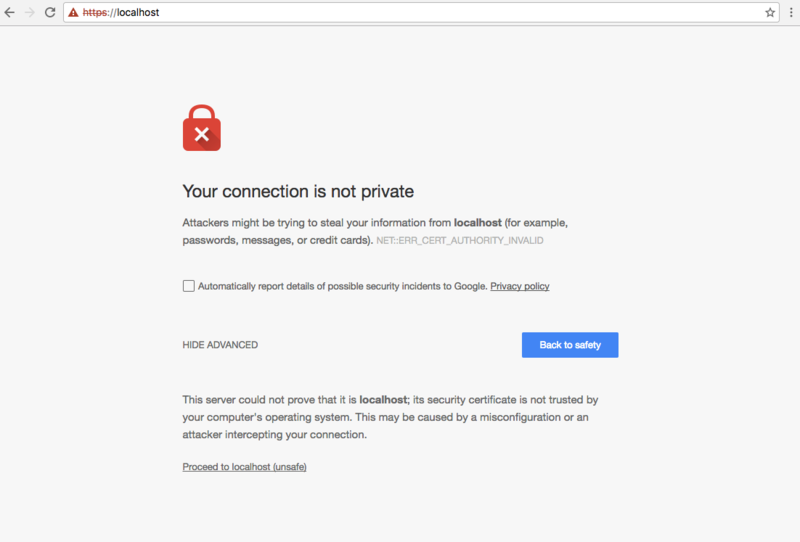 The first couple of lines enable the ssl and http2 modules on localhost:443. The next few instruct the server to read your private key and certificate (the ones you just generated). The rest of the file remains the same as before. Don’t worry! We know that we’re legit. Click “ADVANCED”, and then “Proceed to localhost (unsafe)”. Note: if you really want the green lock, check out the instructions here to add the self signed certificate as a trusted certificate in MacOS System Keychain. Take this in. 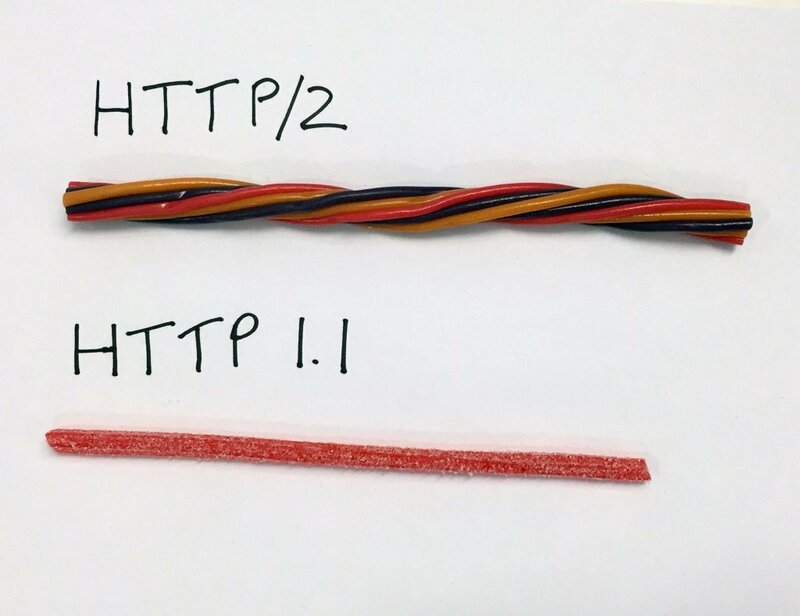 Your local GAE app is running over SSL and using http/2 to serve requests! What about h2 server push? Tip see my drop-in http2push-gae library for doing h2 push on Google App Engine. At the time of writing, Nginx doesn’t support h2 server push, but that doesn’t mean we can’t test with it locally! h2o is another modern h2 server that’s even easier to configure, comes with an up-to-date h2 implementation, and supports server push out of the box. By default, h2o installs to ~/homebrew/bin/h2o and will serve static files from ~/homebrew/var/h2o/. You can change where files are served by editing ~/homebrew/etc/h2o/h2o.conf. In the example, I’ve done the same thing as the ngnix setup. We’ve setup a server on port 3000 that will forward all requests to App Engine running on port 8080. If you want to determine if a resource is being pushed, look for the x-http2-push: pushed header in the response. h2o will set that header on pushed resources. 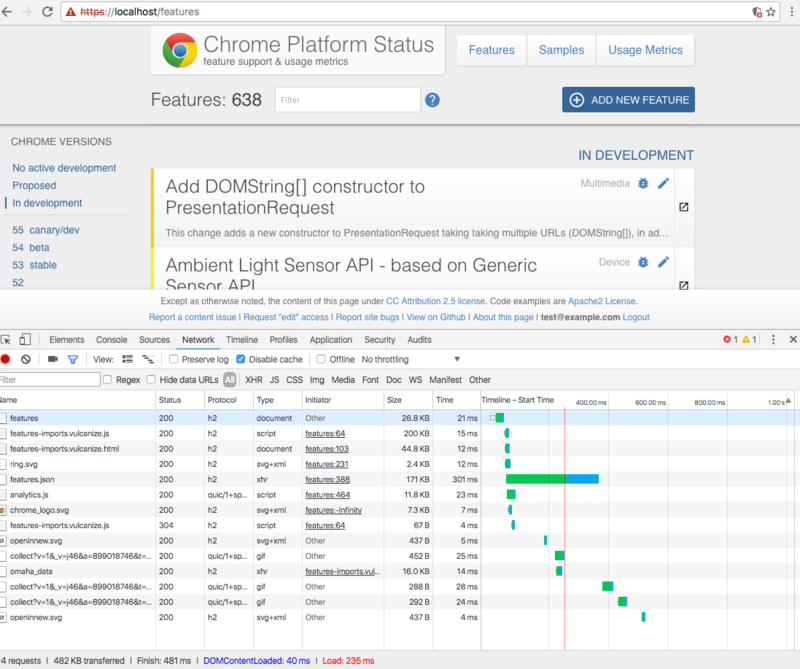 Alternatively, you can drill into Chrome’s chrome://net-internals to verify pushed resources. If you want even more speed, you can have nginx or h2o serve your static files directly instead proxying them to the dev server. Both servers are much faster than dev_appserver.py and will better mimic production App Engine. If nginx can find the file within your root, it will serve it directly rather than (needlessly) forwarding it to App Engine. All other requests will be proxied to App Engine as usual. Now, all files under https://localhost/static/* will be served by h2o instead of GAE. Tip: Check your dev server logs to confirm ngnix/h2o are handling the static files. If requests don’t show when you refresh the page, you’re good to go. If requests show up, check that you’re using the correct path for root or file.dir. And with that, Voila! We’ve got the App Engine development server running fully over http/2. © Eric Bidelman · File a bug!